The Route 34 corridor is a long, narrow stretch of land which separates the West River, Dwight and Hill neighborhoods in New Haven. It has been the site of recent development after being vacant since the 1950s, when it was proposed to be a highway. 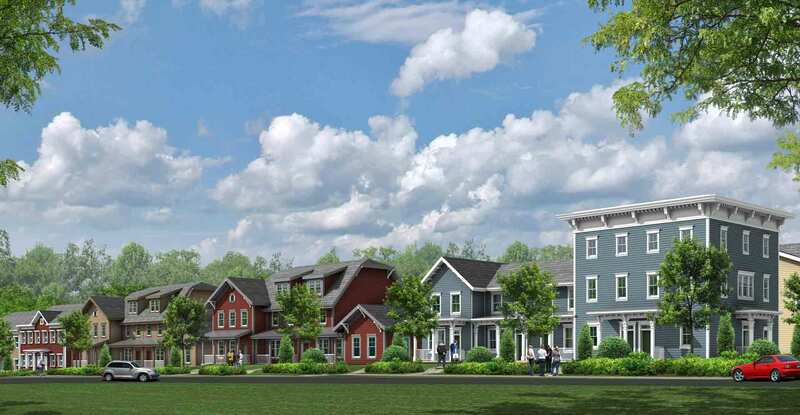 Kenneth Boroson Architects was contracted by a partnership of two non-profit organizations, the NHP Foundation and the West River Self Help Investment Plan (WRSHIP), to design a new neighborhood on 4.3 vacant acres. The property is bordered by Ella Grasso Boulevard, Tyler Street, Legion Avenue, and Martin Luther King Boulevard/North Frontage Road. 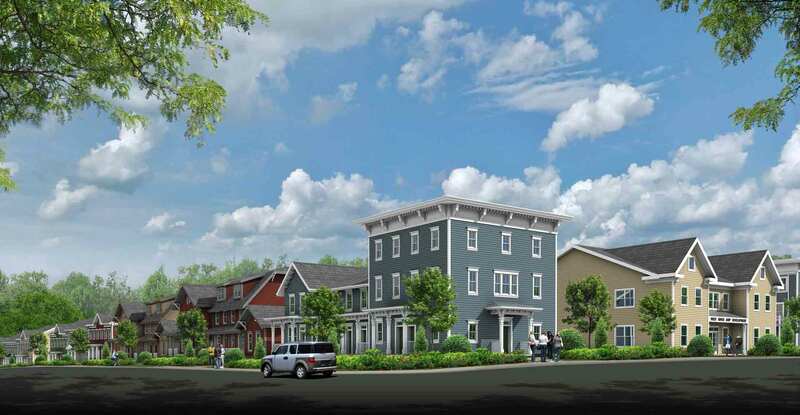 The new community will include a total of 56 rental units and an office meeting center in 11 buildings, and street-level parking to accommodate 60 vehicles. 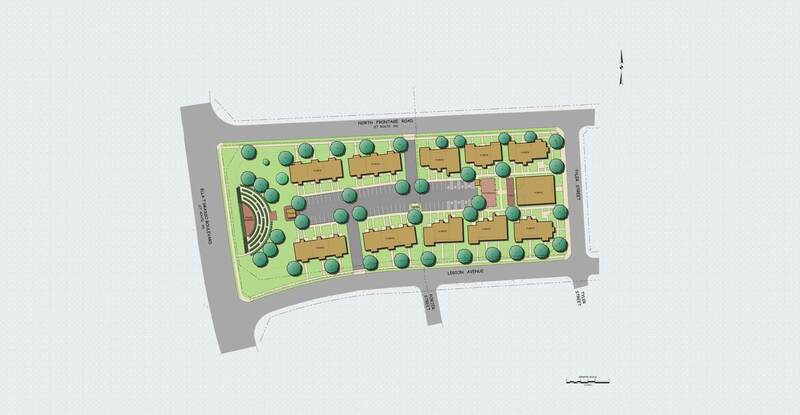 The site is adjacent to the International Peace Garden which will be further developed in a subsequent phase. Apartment size will range from 1-bedroom to 3-bedroom, and all will be classified as affordable, with varying income requirements. 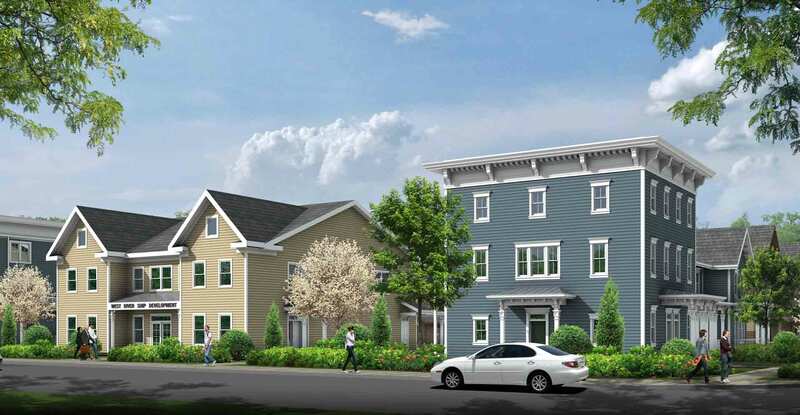 The project is applying for funding, including low-income housing tax credits (LIHTC), from the Connecticut Housing Finance Authority (CHFA). All of the structures are being designed for “Passive House” certification in compliance with PHIUS+ criteria – an energy efficient building standard which will result in low utility bills. While the development is contingent upon various committee approvals, construction could begin as soon as Fall 2019.